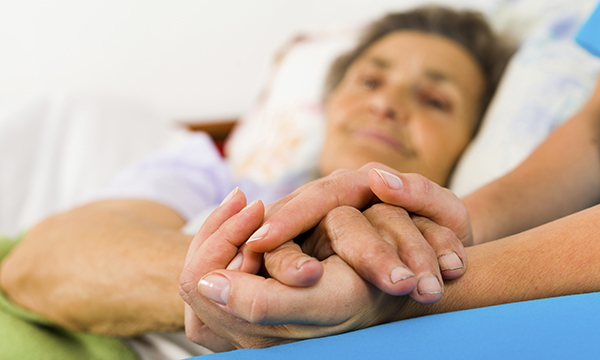 A project to improve the care of people at the end of life by emphasising patient experience has selected 19 teams to join. Last year, independent charity the Point of Care Foundation supported eight teams on its Living Well to the Very End programme (LWVE). The new cohort of multi-disciplinary healthcare teams is funded by the Health Foundation and supported by NHS England. Oxford University Hospital NHS Foundation Trust ward sister Frances Riley was involved in the LWVE programme in 2016. Ms Riley said that being involved in the project had given her ward a good opportunity to focus on end of life care. Ms Riley said one challenge had been engaging doctors in the process. Ms Riley advises new LWVE teams to allow themselves plenty of time and emphasised how important regular weekly or bi-weekly meetings had been to the project’s success. The Point of Care Foundation head of improvement Bev Fitzsimons said: ‘The great thing about this programme is that many of the improvements that are beneficial to patients do not take significant time or money for staff to implement. ‘The changes we see look simple, but it is only by having the time to take a step back that staff can notice seemingly small things, such as practical aspects that add stress at an already difficult time. Aintree University Hospital NHS Foundation Trust. Aneurin Bevan University Health Board. Ashford and St Peter’s Hospitals NHS Foundation Trust. Bromley Care Coordination, St. Christopher’s Hospice and the Princess Royal University Hospital Bromley. Central Manchester University Hospitals NHS Foundation Trust, Royal Manchester Children’s Hospital. London Northwest Healthcare NHS Trust. Northern Devon Healthcare NHS Trust. Nottinghamshire HealthCare NHS Foundation Trust. Princess Alexandra Hospital NHS Trust.